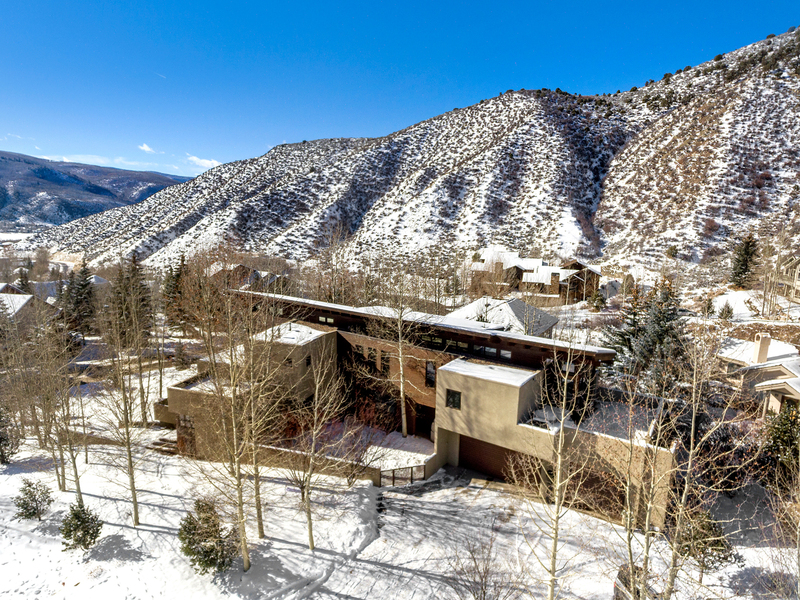 A timeless 5 bedroom / 5.5 bathroom / 4,799 sf contemporary residence in the heart of the valley sets the stage for mountain modern living. 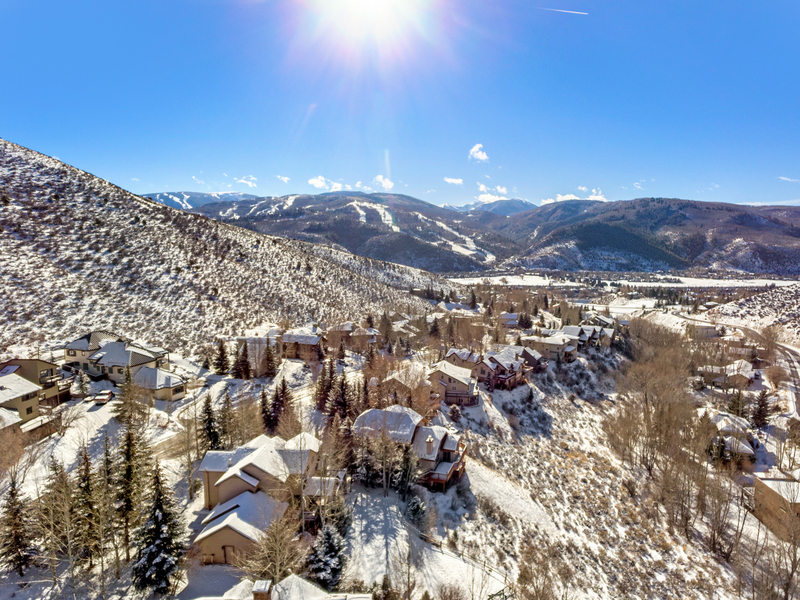 Enjoy panoramic south- facing mountain views of Arrowhead ski runs in the distance. 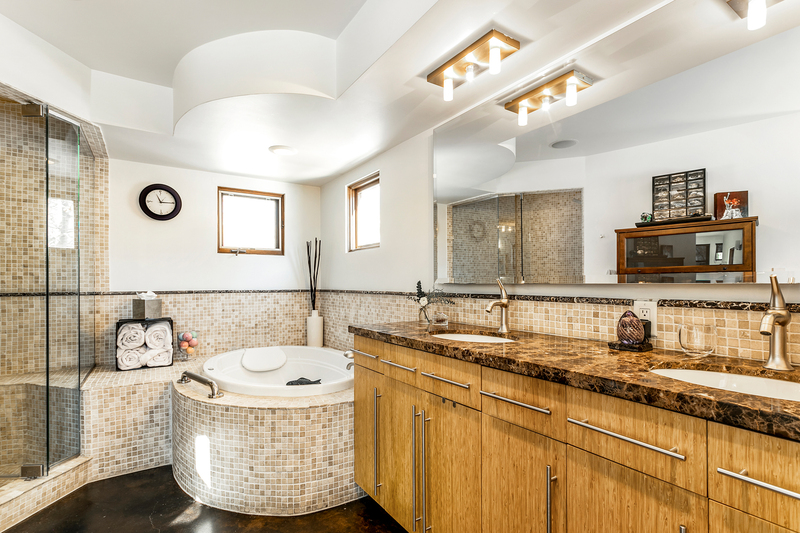 Built in 2002 by former homeowner / architect, Trey Warren, you will enjoy privacy at the end of the cul-de-sac with plenty of room to enjoy the outdoors. 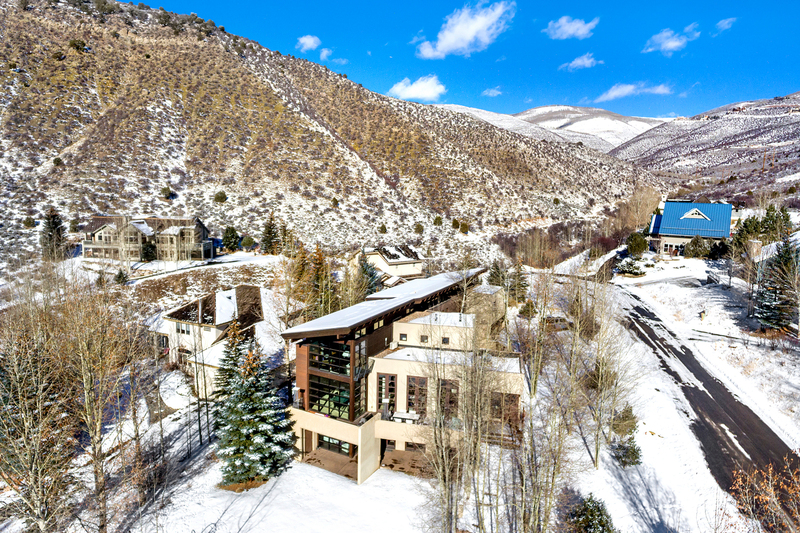 This includes the additional 1 bedroom / 1 bathroom lock-off above the garage that has a fabulous up valley view which can been seen through an all glass wall in the living room and from the elevated deck. 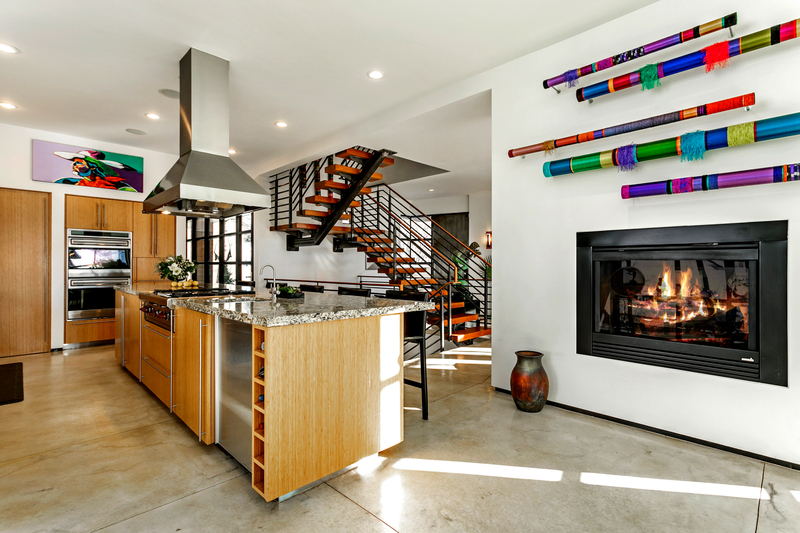 Upon entering one realizes this is a spacious and practical open floor plan that provides endless opportunities for entertaining. 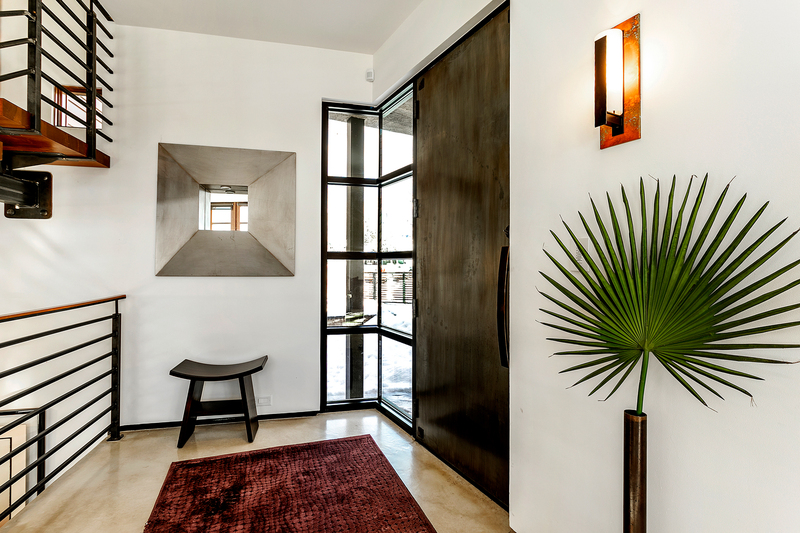 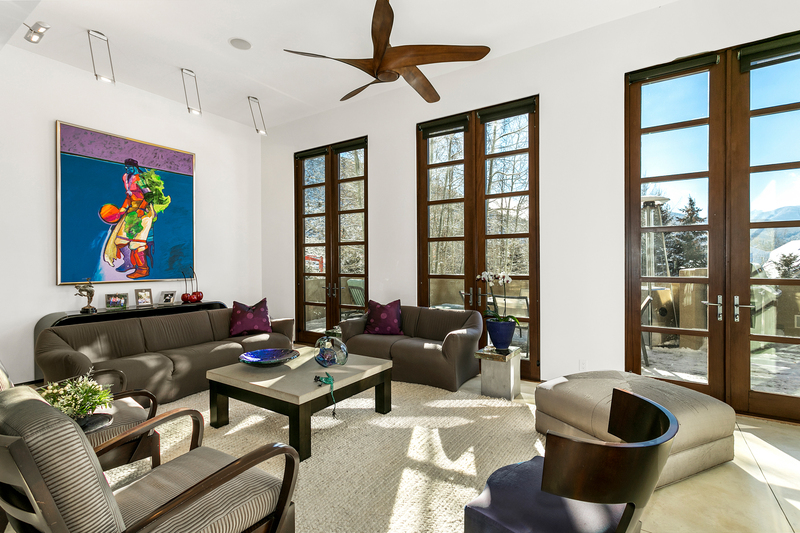 A blank canvas ready to personalize with ample space for a growing art collection. 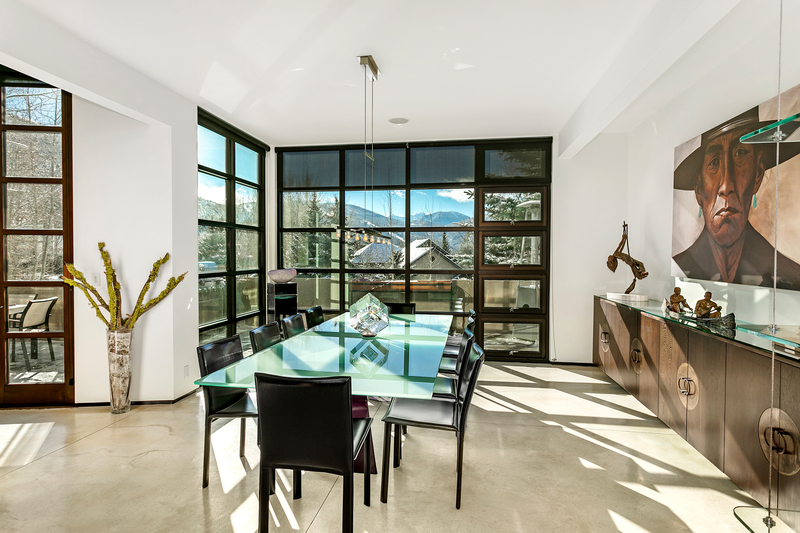 The double-sided gas fireplace that is central to the living room, along with the sleek modern kitchen and large dining room all forged with walls of glass for picturesque mountain views provide optimal spaces for entertaining guests. 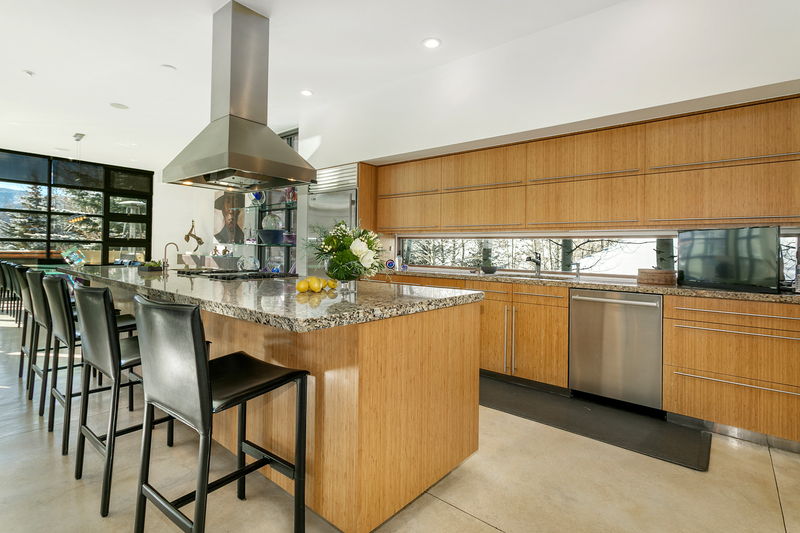 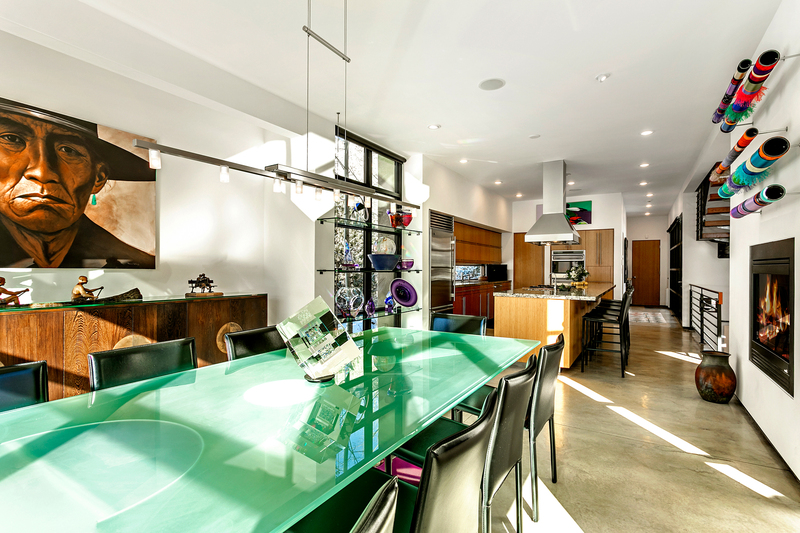 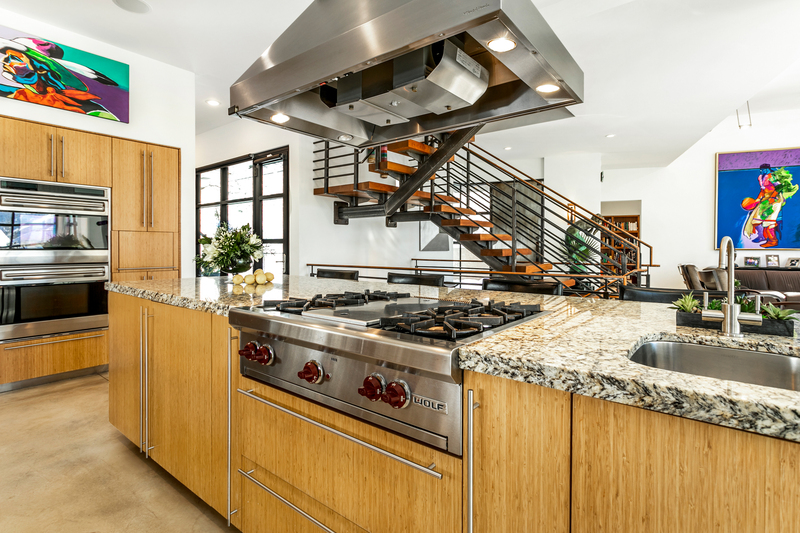 The expansive chef’s kitchen is centered around the full-length island which is equipped with a Wolf cooking range so that the cook can remain social with all their guests at the countertop. 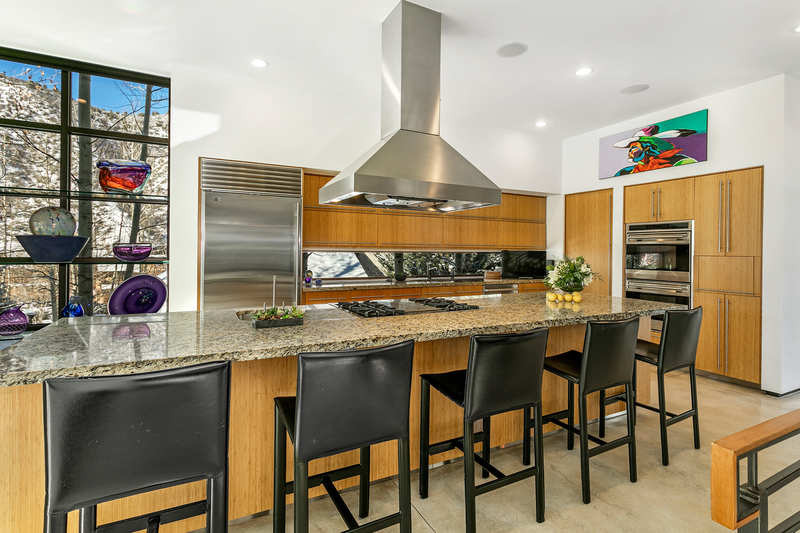 This well-designed kitchen with bamboo cabinets and professional quality appliances will ensure that even the most discriminating culinary aficionado will be duly satisfied. 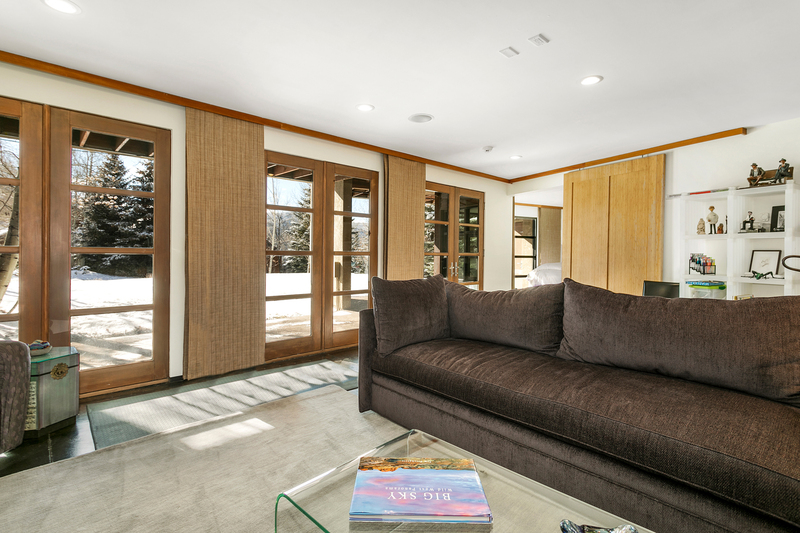 The dining room’s floor-to-ceiling windows are perfectly situated across from Arrowhead offer stunning views of the ski runs. 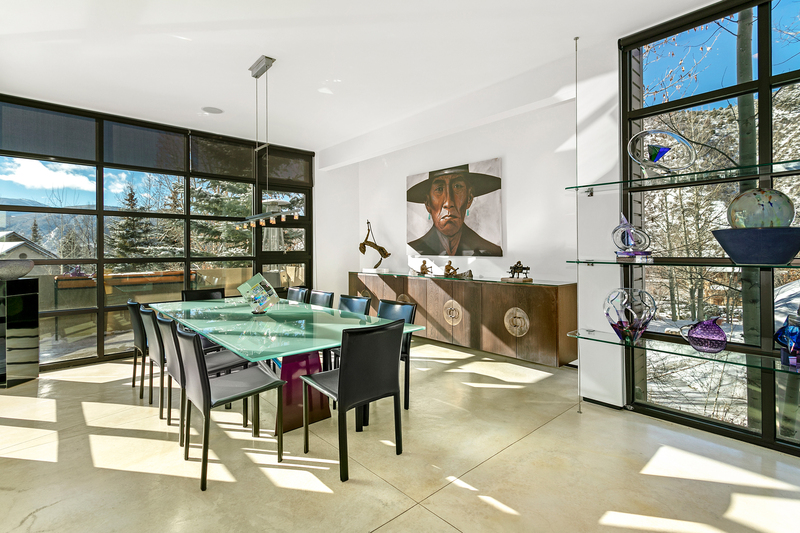 For better work-life balance, a main level office with room for two desks and beautiful built-in cabinets allows you to work from home in privacy with an abundance of natural light. 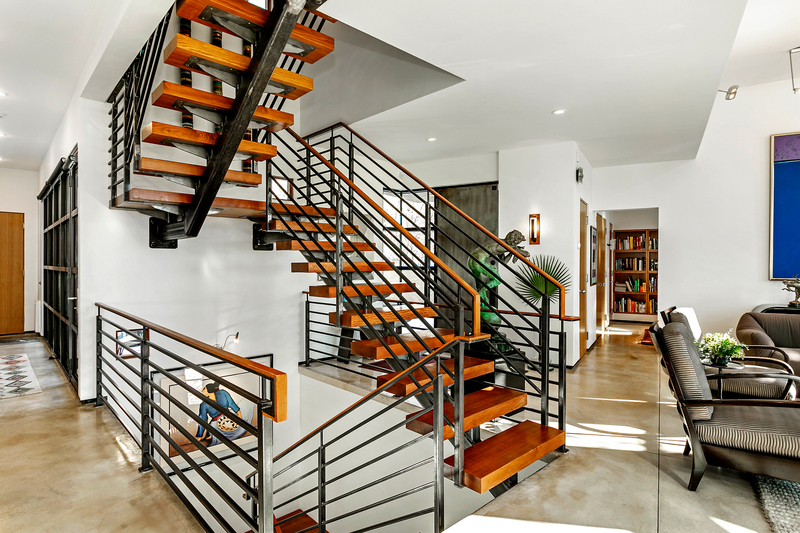 An open plan floating staircase allows even more light to flood through the 3-story home. 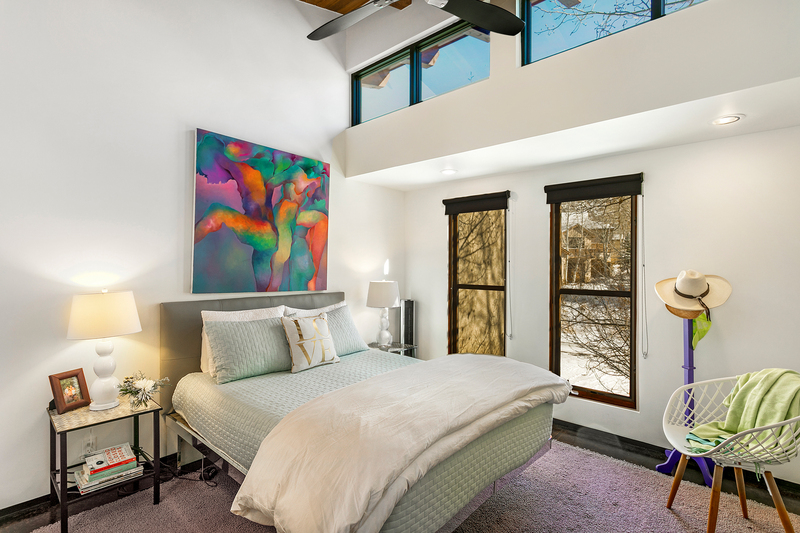 Ascend to the master suite that sits directly over the dining room. 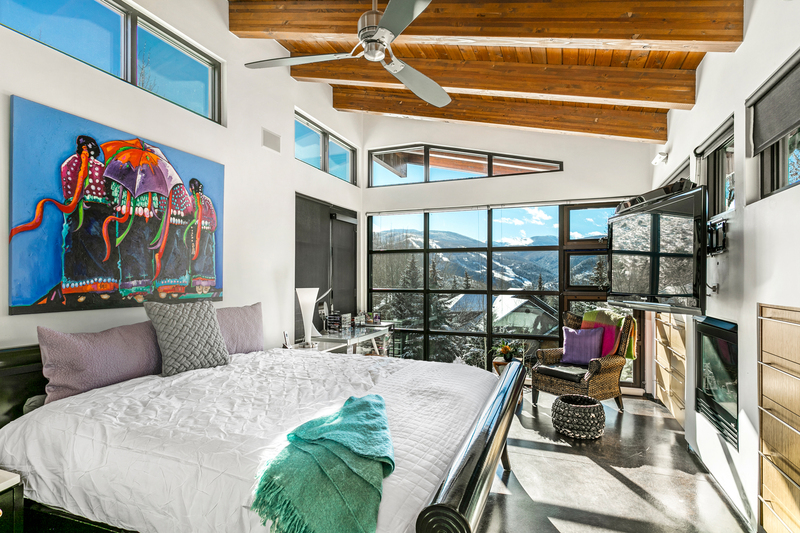 You will find sweeping views of the mountains while you cozy up to the fireplace. 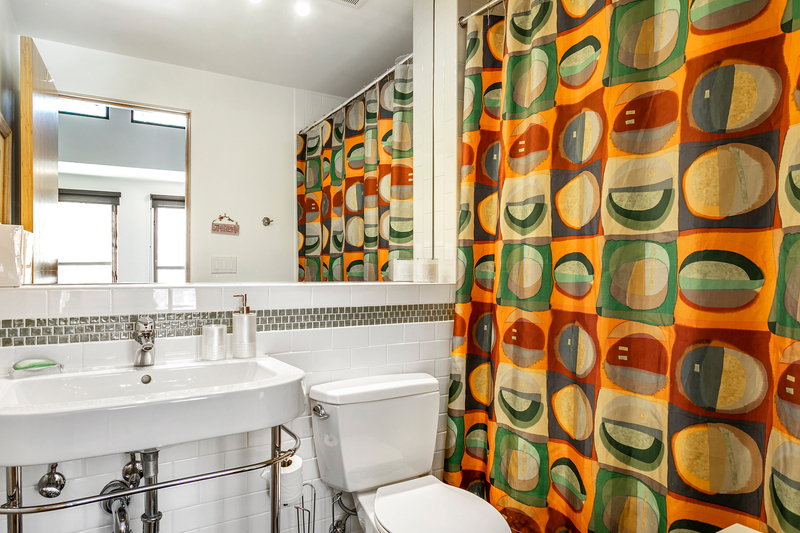 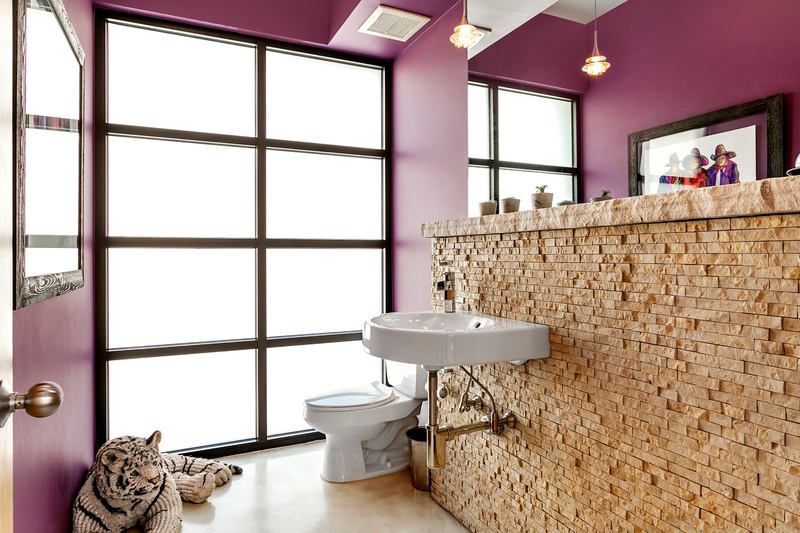 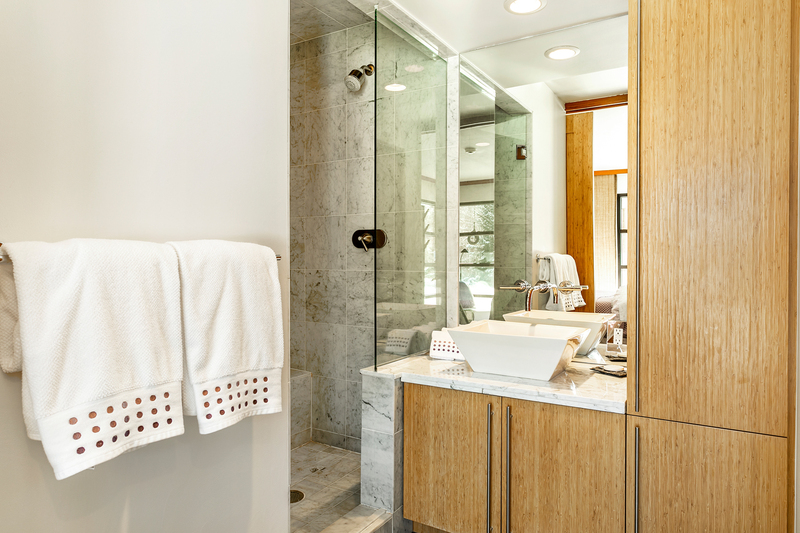 A large closet and master bath make you feel like you are in your own wing of the home. 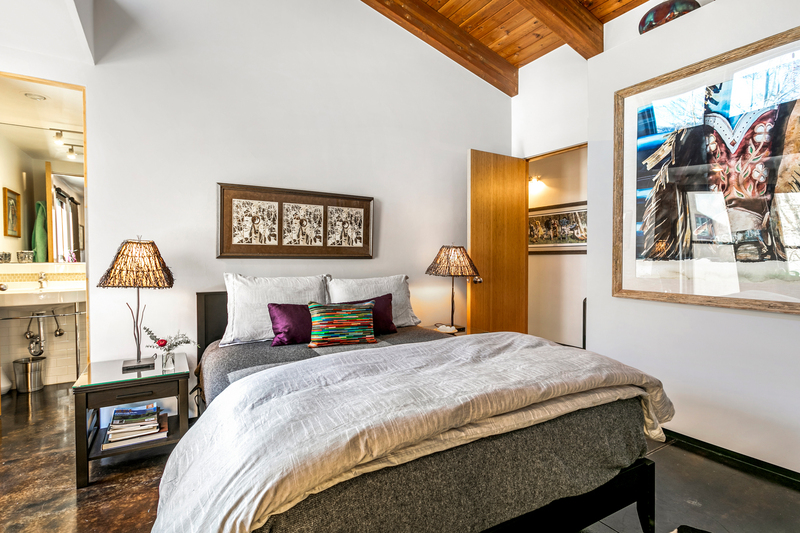 Two additional bedroom suites adorn the top level where each one feels like its own peaceful retreat. 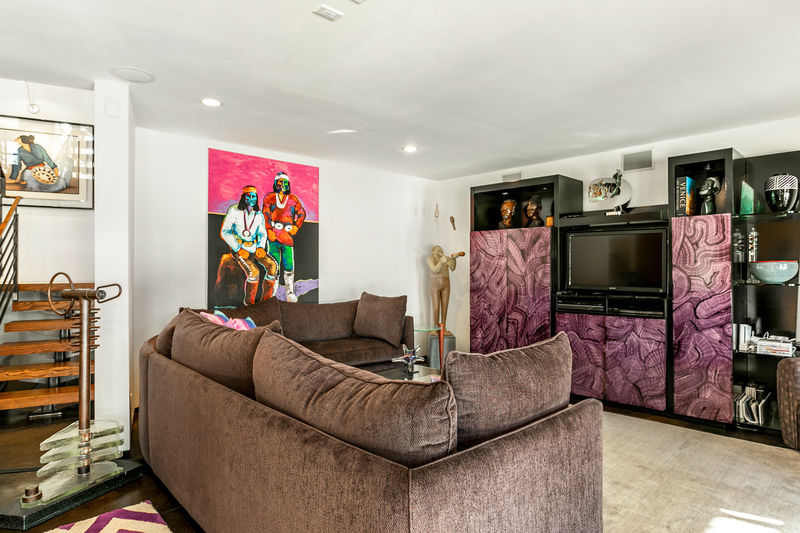 On the lower level is a sizeable media room streaming with sunlight and a wall of windows, which is great for relaxing après, watching the game and entertaining. 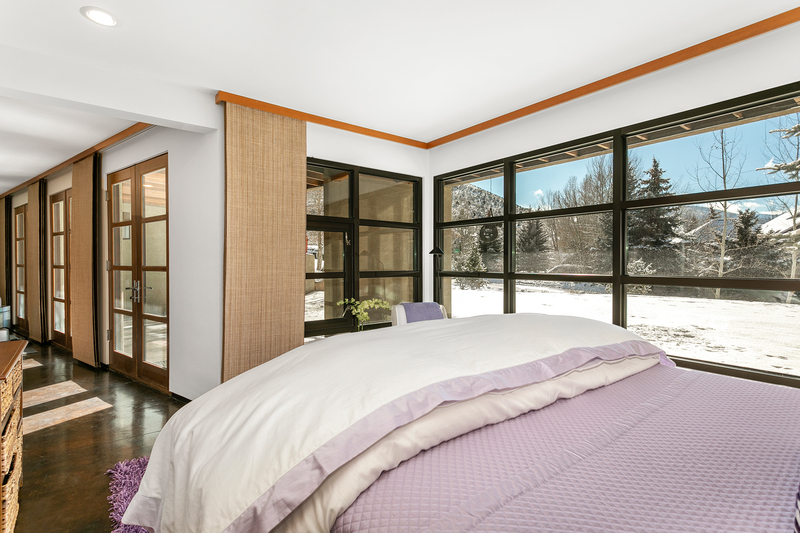 The adjoining bedroom suite makes the lower level into a guest’s dream retreat. 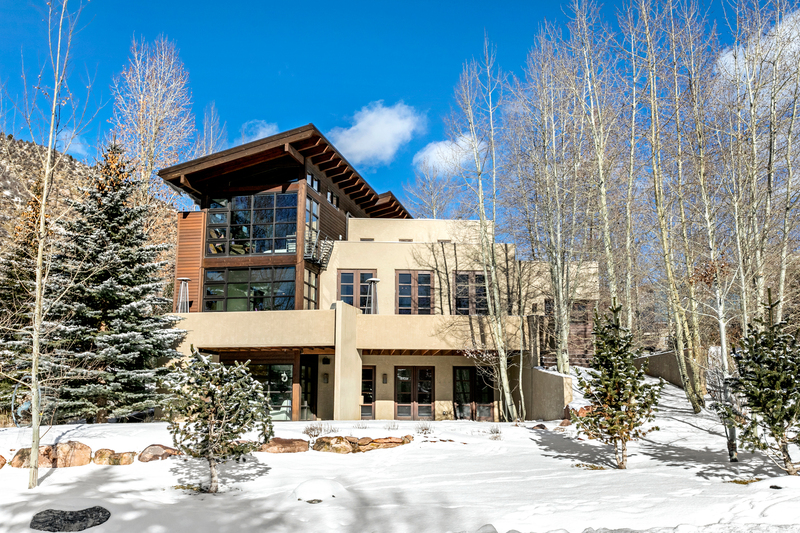 An oversize three-car garage allows for plenty of mountain gear storage. 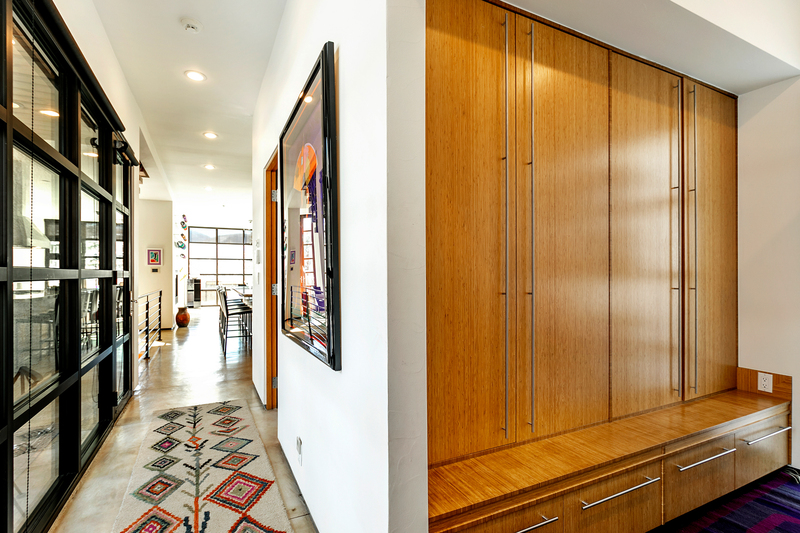 Upon entering the home, you can shed your gear in the mudroom also conveniently shared by the laundry room. 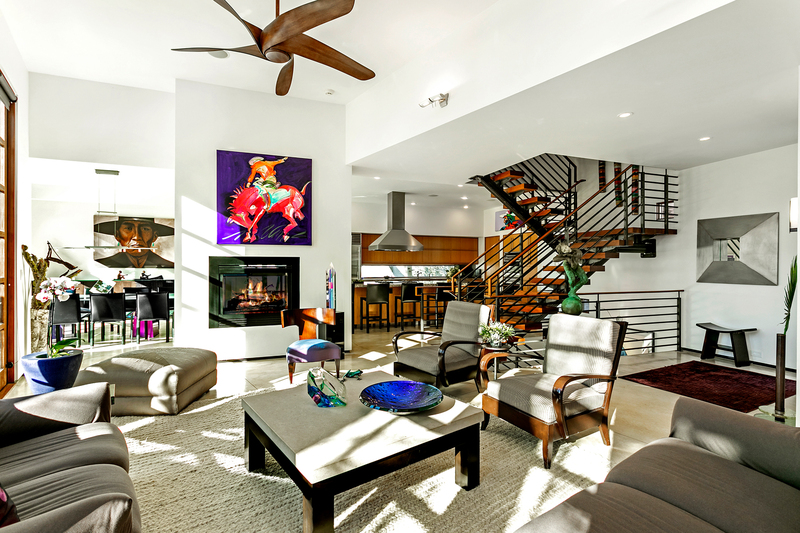 The outdoor living spaces have ample room for play and relaxation. 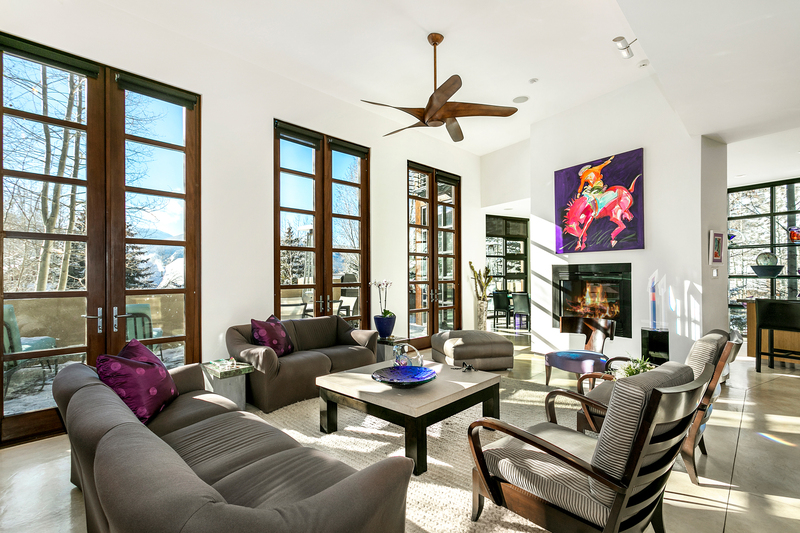 The south-facing deck off the main living area overlooks a large yard while an additional gated courtyard on the side of the home is ideal for Fido to run freely. 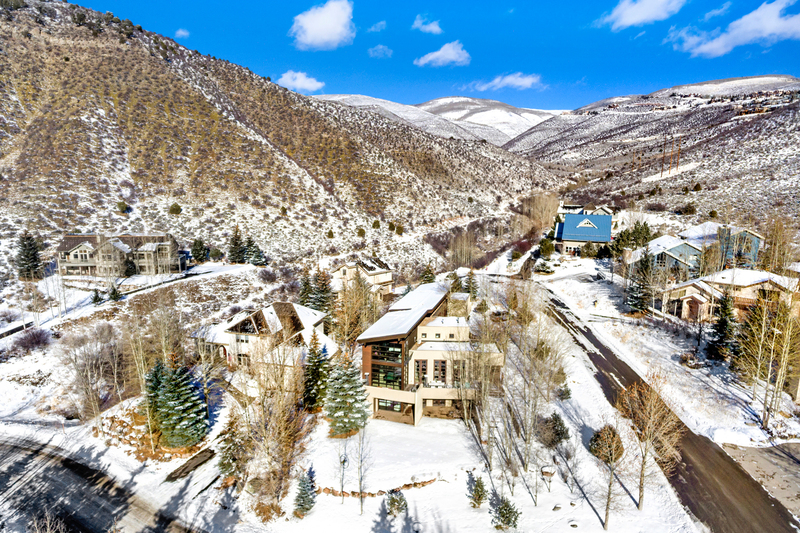 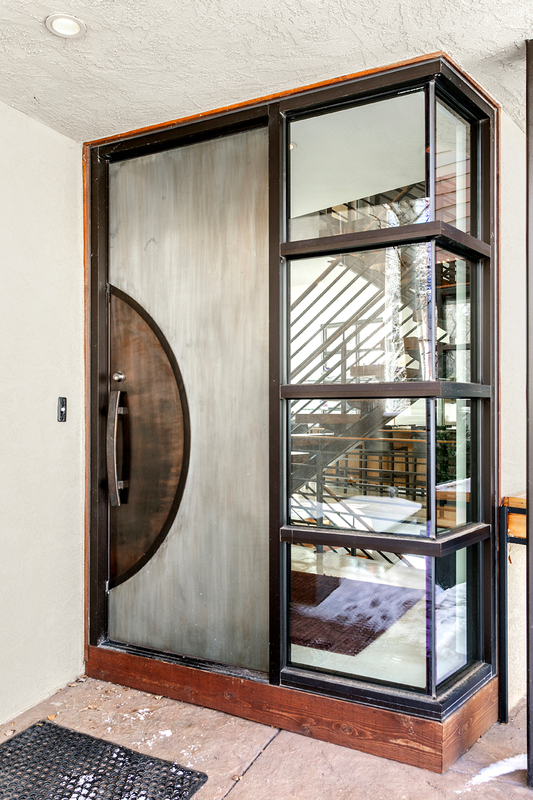 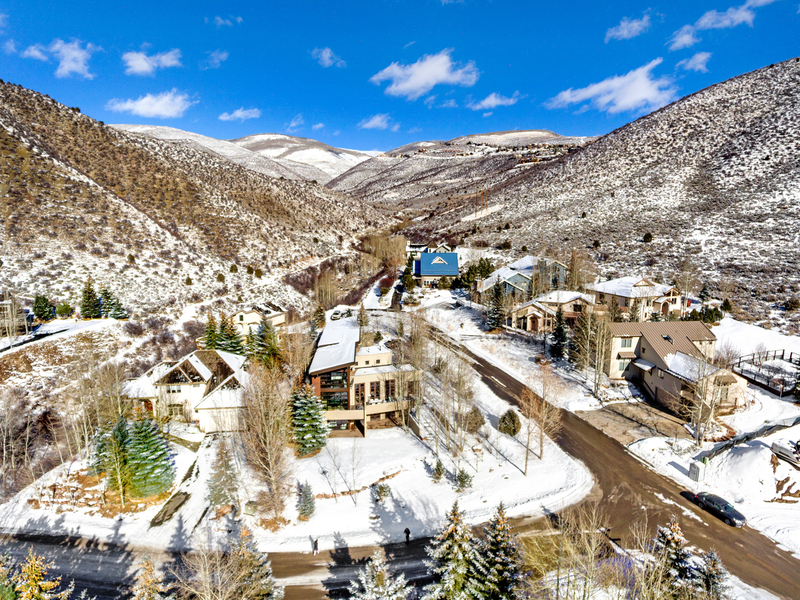 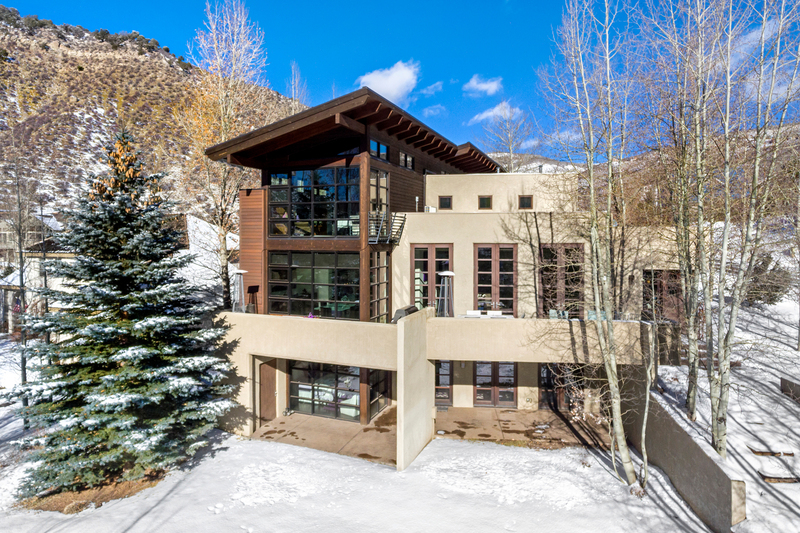 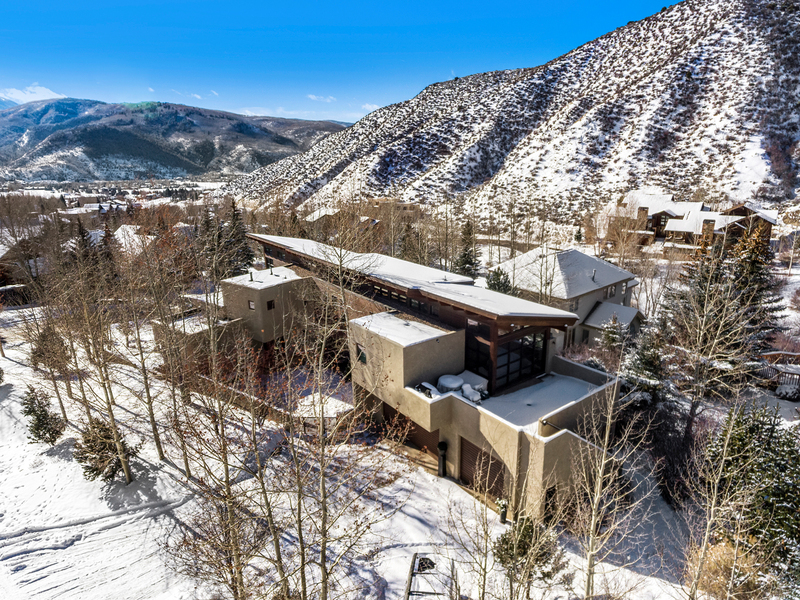 Uncompromising in its commitment to quality throughout, this residence offers the perfect balance between privacy and proximity to all that the Vail Valley has to offer.